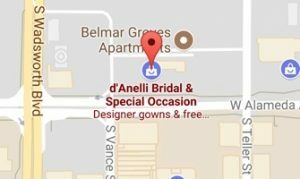 d’Anelli Bridal is very proud to be associated with the finest and most qualified working seamstresses serving the Denver metro area. d’Anelli seamstresses have a combined experience of over 30 years, so you know you’ll be in safe hands! Although specializing in bridal and special occasion dresses, our seamstresses offer many other tailoring and alterations service. Please Note: All alterations are schedule by a d’Anelli staff member. Please call or submit a request below. First fitting appointments are scheduled for one hour for Wedding, Débutante, and Quinceanera Gowns. Mothers, Evening and Bridesmaids garments are scheduled for half an hour. 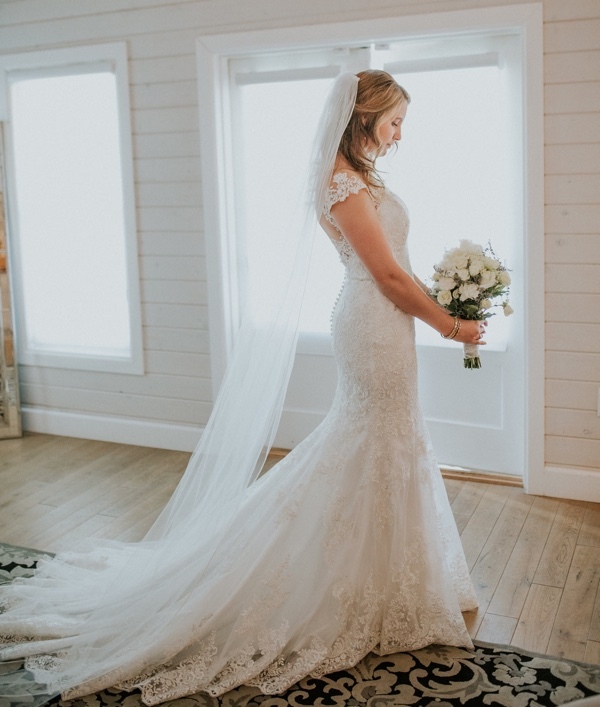 Shoes with proper heel height, and undergarments (including but not limited to: petticoat / slip, bra, spanx) must be brought to the first fitting and proceeding fittings. All alterations visits are by appointment only. We suggest scheduling your first alterations appointment at least 12 weeks before the date of your wedding. You are welcome to make your appointment earlier if your schedule allows. 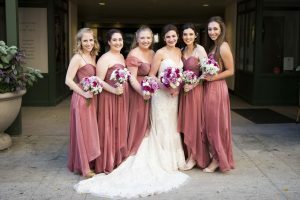 For Bridesmaids, Mother-of-the Bride/Groom, and Evening/Special Occasion garments, we suggest scheduling your first appointment 6-8 weeks before pickup. Alterations of these garments typically require two 30 minute appointments. For rush situations, please call, and we will try to accommodate your schedule. Alterations of garments purchased elsewhere are most welcome. Family and friends are welcome to attend fittings. Please call ahead for parties 3 or more. All payments are due at the first appointment. All Alterations require a scheduled appointment. Please call or submit a request below.